The Galesburg Silver Streaks baseball season is less than a month away. 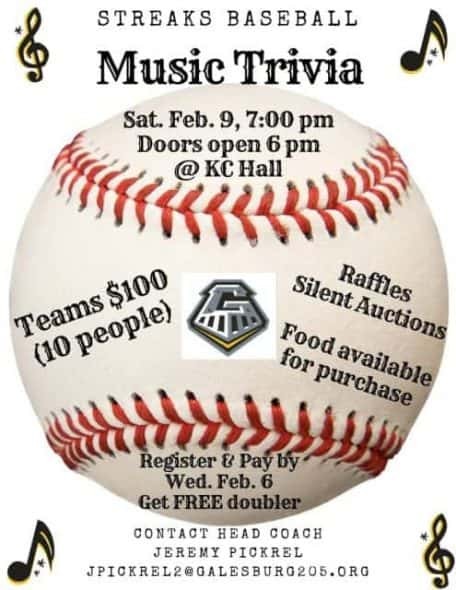 They’re host a fundraising music trivia night this weekend. Second-year head coach Jeremy Pickrel joined Tom Meredith on “Galesburg Live” to talk baseball and Streaks baseball. Galesburg police have confirmed that at least two shots were fired in the 500 block of West Brooks Street Thursday, just after noon.